We are in midst of the sixth round of NAFTA 2.0 talks. What can we say is going on, in this tense, consequential process (to wrestle with 23 years of loss to communities due to the North American Free Trade Agreement)? A straight-ahead news article/update here. Senator #Bernie Sanders, Randi Weingarten, Rosa DeLauro, Simone Campbell, many others are rallying in DC for our #ReplaceNAFTA Day of Action. 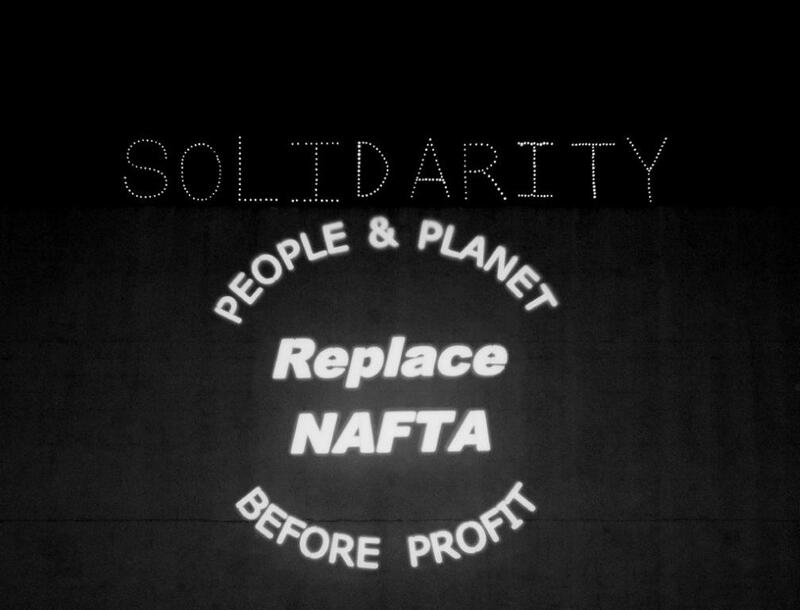 that NAFTA’s renegotiation put people ahead of corporations by eliminating NAFTA’s job outsourcing incentives and adding labor, environmental and climate provisions that meet fundamental international standards, include swift and certain enforcement, and raise wages for all workers. A vote should not be held until these essential standards are met. 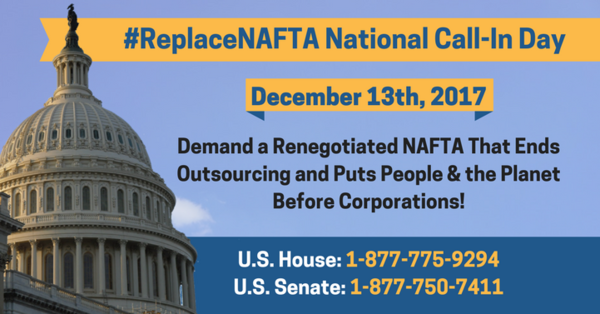 Step out on your email and social media (like, post this image — and other Replace NAFTA alerts, going forward) to show our reach and our unity and strength. This is the coalition (… labor, environmental, consumer, faith and farm groups… these leaders speaking in the DC rally/presser today…) that defeated the TPP. And we’re having an impact on the direction NAFTA is heading. And we flat-out must.